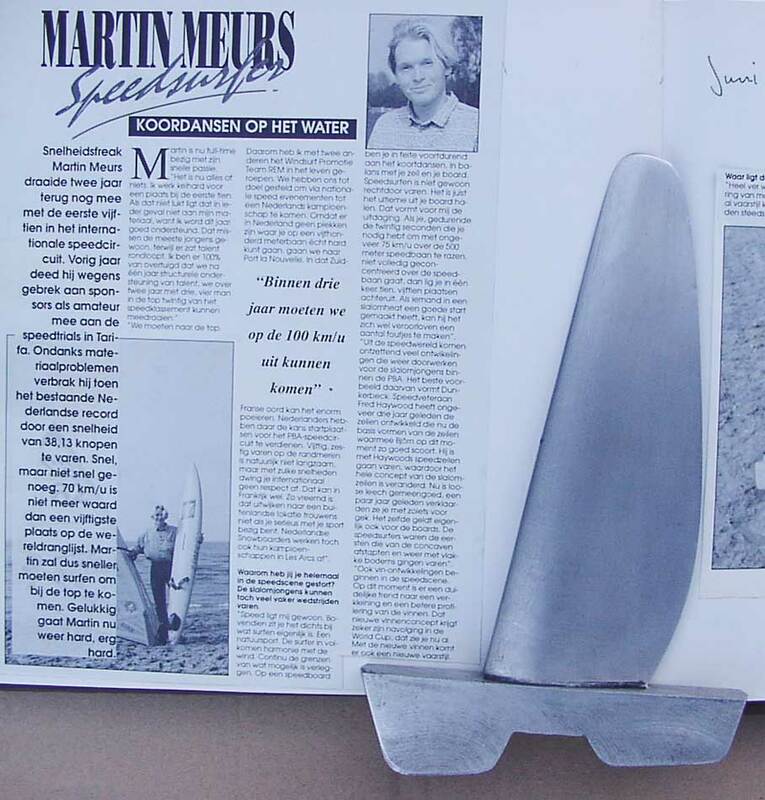 Martin van Meurs made himself popular in the Netherlands. Promoting GPS-speedsurfing, recordattempts and the idea speedsurfing is just the best thing ever. "In 3 years we should go 100km/h"
"On a speedboard you're constantly tightrope walking, searching for the ultimate balance between board and rig"
"If you make 1 mistake in 20 seconds on the 500m course when doing 70km/h you loose easily 10-15 places in the ranking"
"What is the speedlimit? -far far away, by improving equipment speedsurfing will change. In the end it will be only depend how far do you dare to push it (100km/h or even faster)." 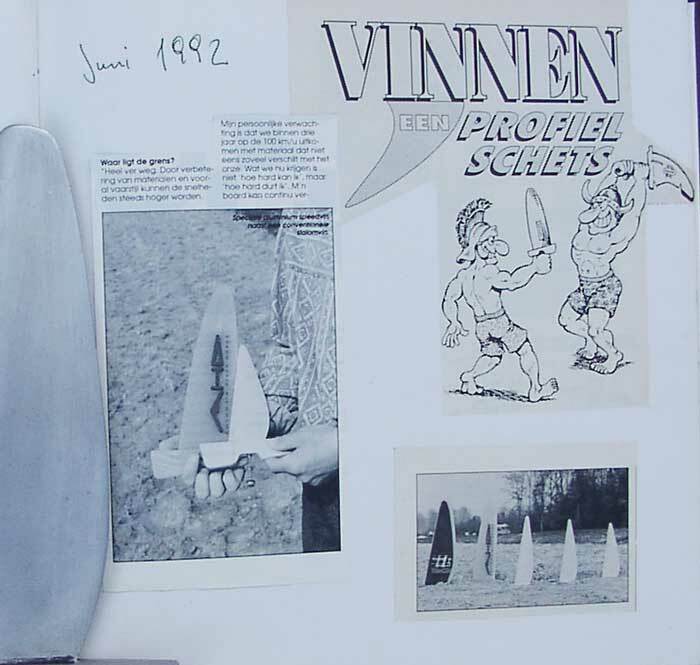 I downloaded these scans of some magazine from a surfforum a long time ago. (for when there would be frozen water). Good news is I have some other nice photos/content of speedsurfing before 2000, I am just waiting for the original publisher to allow me publish these. 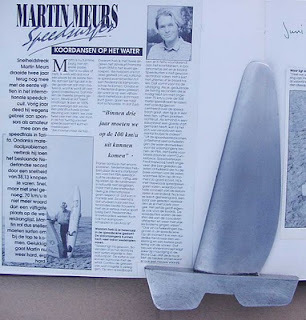 If you look with 1 eye on the fin that is shown in the first picture, you might see a little bit the outline of the C3 fins where Martin had his influence in.